You probably know what it is like to remove a label off some packaging or a jar you want to recycle and reuse. Even using products that are supposed to remove the remaining sticky stuff does not always work. Labels placed on people often leave a residue that thwarts and even harms their development and fit into the community at large. Created by the scientific community to help distinguish things and characteristics from others, labels serve in the process, but labels affixed to people will trigger even the most knowledgeable people’s sunconsicousness or unconsciousness, bringing forth conditioned prejudices they are not even aware of … all of which develops and fosters prejudice plus encourages isolation. 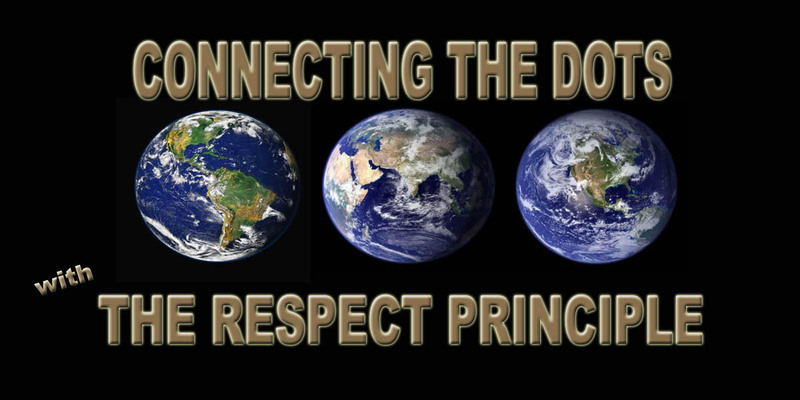 The great news is that the higher a Respect Level is in a society the less power labels are given and eventually they just become the tools they were meant to be used. How people are treated reveals the true Respect Level in a society. Balance and a higher Respect Level, for ourselves and other life, results from using our left, practical, scientific-driven brain and our right, creative, philosophical-driven brain … and our heart … all at the same time. A job is what you do … not where you do it.